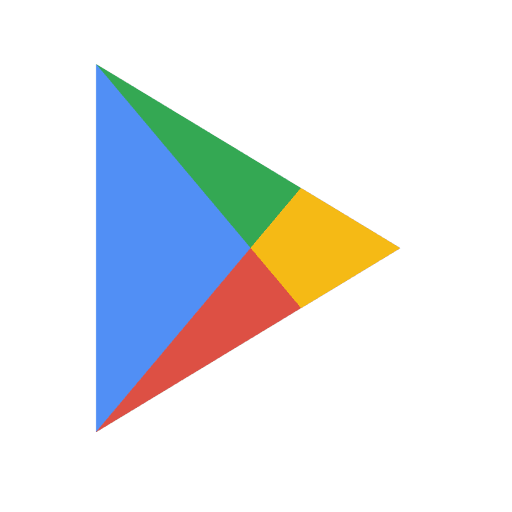 Google Play Store is the most trusted platform to download/install apps for Android users. 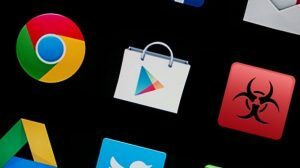 But in recent times, Google has dropped down thousands of counterfeit apps from Google Play store. 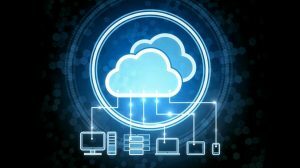 As many bad actors(developers) are deploying cloned apps of popular or legitimate apps and deploying them the Play store. 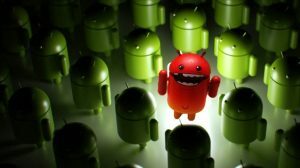 Such apps risk privacy and further distribute malware. 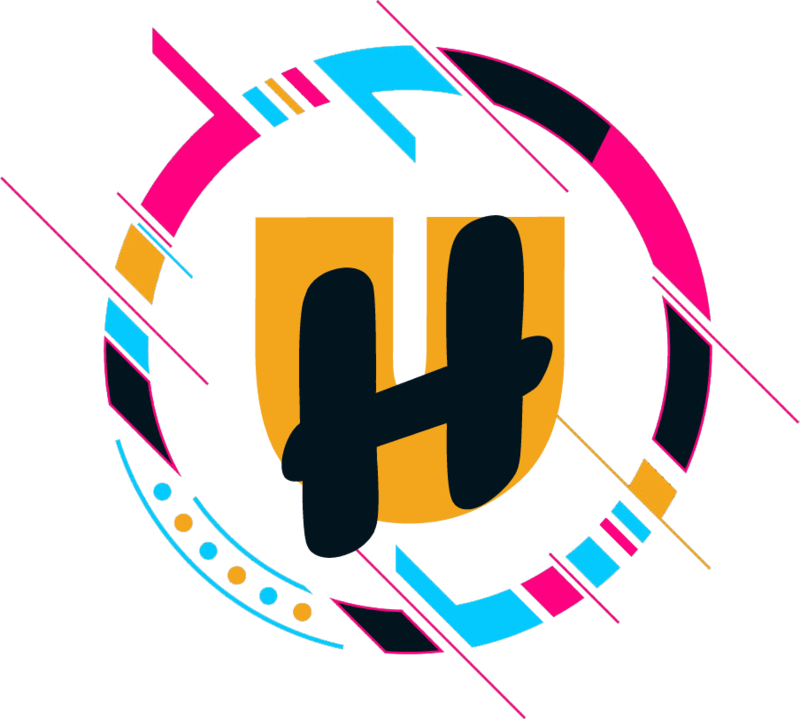 Android users are always keen on looking for apps to enhance the feature of smartphones. And out of curiosity, they quickly download the apps without checking whether they are safe or not. We should always follow some guidelines to avoid downloading any malicious or fake apps. 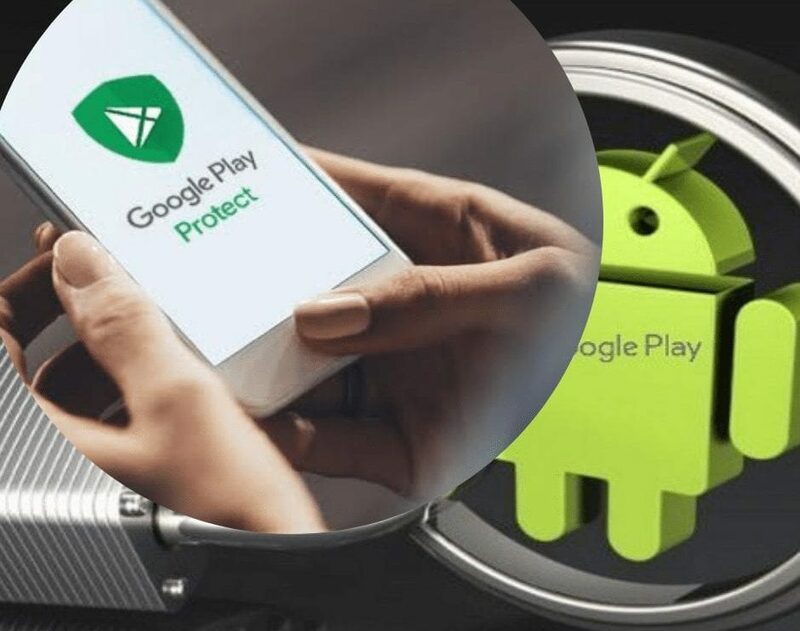 To prevent this, Google added a new feature to the Google Play Store that added a new security layer and prevents users from downloading any fake apps. 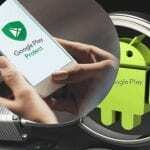 Google Play Protect is an Android threat protection service offered by Google. 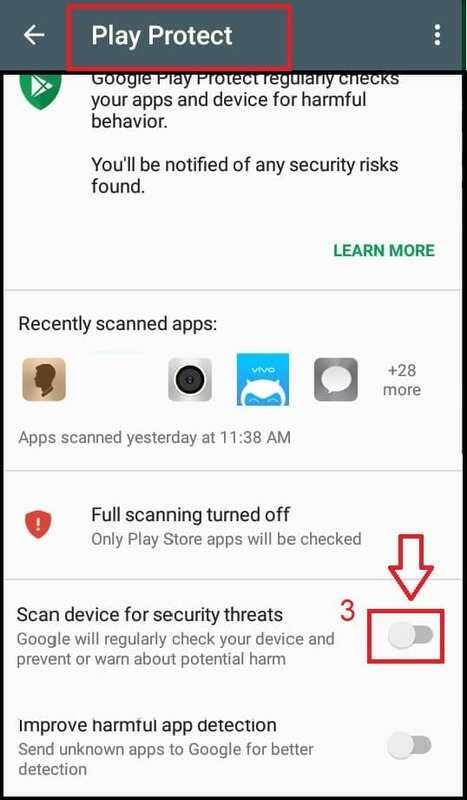 It scans the app on your device to ensure that your Android device is safe. 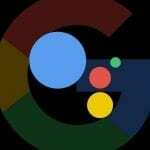 If it finds any suspicious app, it quickly reports to Google and also warns users to quickly uninstall it. 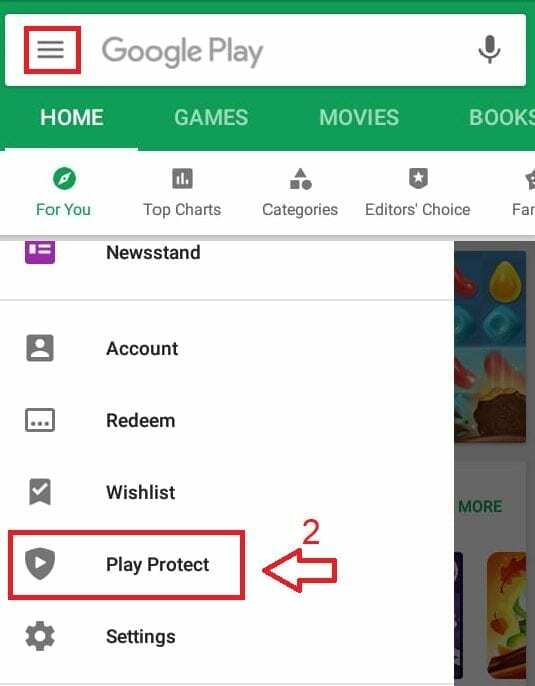 Google Play Protect also prevent fake or cloned apps being downloaded on your device. 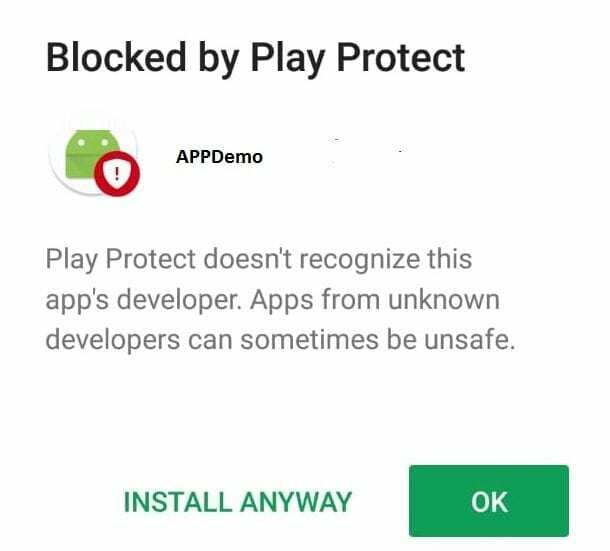 If you attempt downloading any app which is not safe, it will warn you immediately. 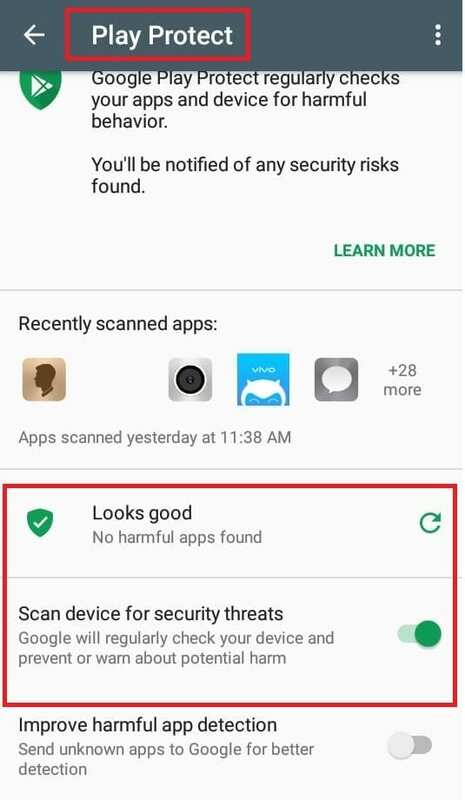 Once you enable this option it will start scanning your device and show the status and list any malicious app found. 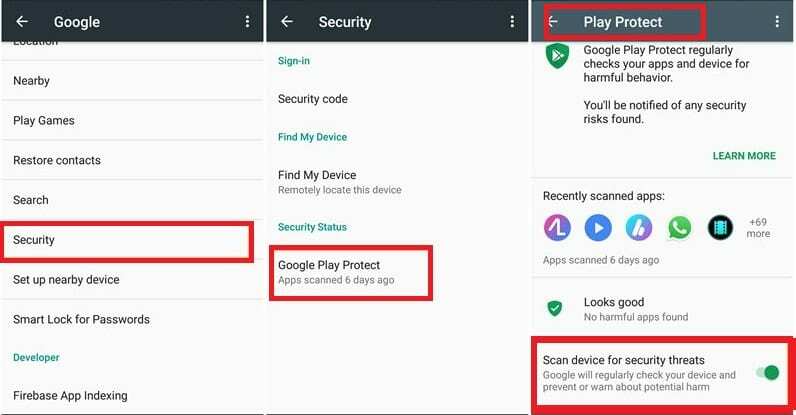 Open settings → Google → Security → Google Play protect → Enable it. It is important to stay protected from such malicious attempts as they not only annoys us but also risk the privacy. 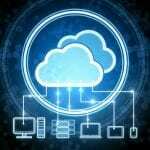 Our phone contains lots of personal data like contacts, photos, saved logins and apps. Fake apps can easily collect these information and misuse them for illegal actions. 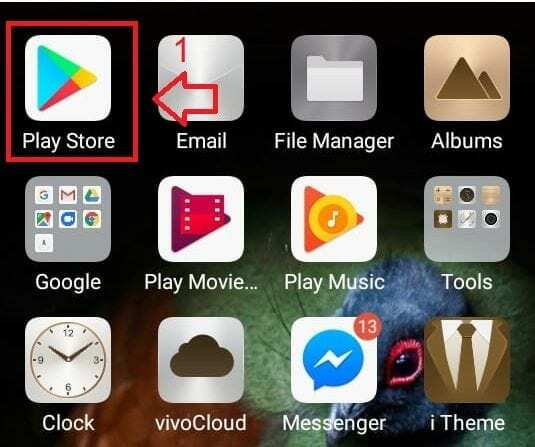 Thus, security experts have set few guidelines which can help prevent accidental download of fake apps on devices.